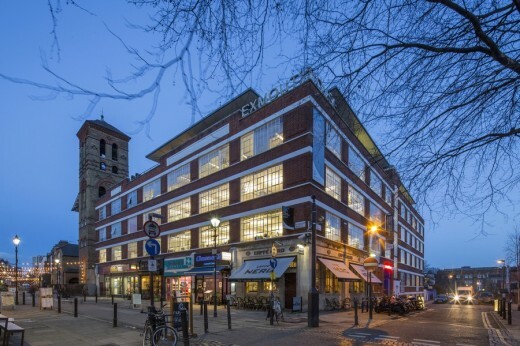 Orms has completed the transformation of Exmouth House, a 30,000sq. ft factory building in the heart of Clerkenwell. 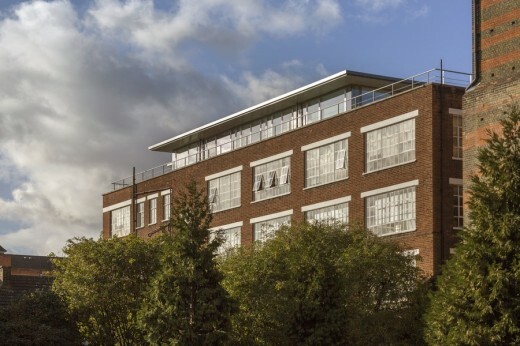 The 1930s structure with its huge windows and brick facades has been upgraded and refreshed into a vibrant office building for the next generation of creative professionals. 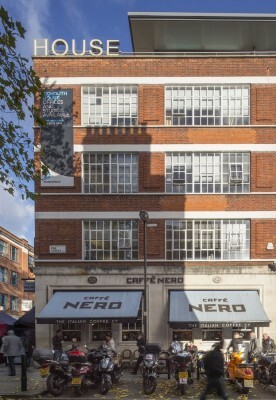 Exmouth House occupies a prominent location at the corner of Exmouth Market and Pine Street and is also home to the Orms studio. The building’s new creative identity has been reinforced throughout with the use of bold and consistent wayfinding graphics and neon light signs, sprayed graffiti murals and dramatic neon lighting. 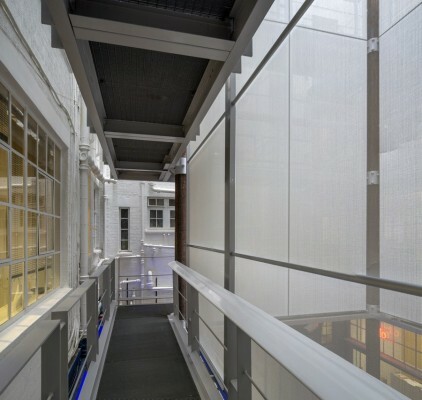 From the street, a back lit glass brick passage leads you to the reception area and central courtyard which has been enhanced with stretched vertical fabric panels that take reference from the building’s history as a dressmaking and fabrics warehouse. 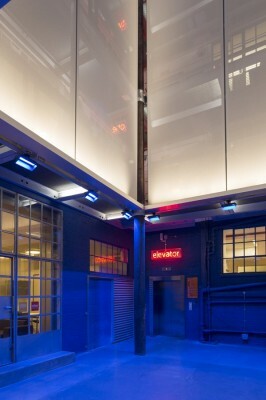 These illuminated fabric panels make the centre of the building it’s heart and creates a warm and artistic communal zone. 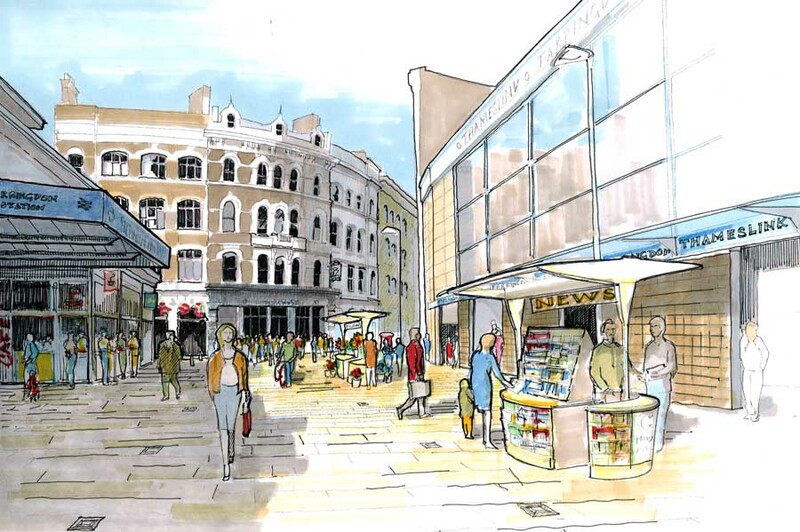 An EFTE canopy shelters the central courtyard and allows natural light to flood through the central space making a welcoming area for visitors and a breakout zone for the occupiers of the building. To create an additional twenty new studio spaces, Orms have extended the building upwards by adding a fully glazed roof extension. The new studios have been designed for creative startups and have private external terraces and spectacular views across the city. A new lift has been installed to connect the new 4th floor to the rest of the building.